Register today for a Legal Tech Institute Vendor Visit on Wednesday, September 26, 2018. 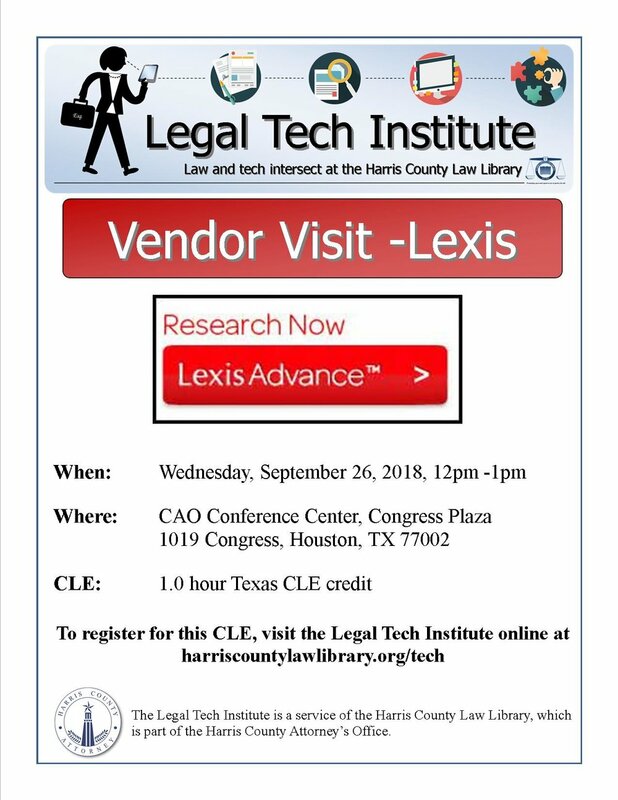 Program will cover legal research techniques using Lexis Advance, a powerful legal research platform available for free at the Harris County Law Library. This Vendor Visit will carry 1.0 hour of CLE credit for Texas attorneys. The session is conveniently scheduled during the lunch hour, from noon to 1 p.m.
All of the databases covered during training sessions are accessible for free on the Law Library’s legal research computers, which are open to the public. Visit Our Services page for more information about the digital resources available for your legal research needs.